For many people, owning and maintaining a home is one of the most significant investments they ever make. But for individuals and veterans living with disabilities, or seniors aging in place, the fact that much of the world outside is not built to accommodate their needs magnifies the value of a comfortable home. It’s vital they and their loved ones have access to the best resources about how to make their homes livable and enjoyable. Unfortunately, without access to the right resources, creating a comfortable home can be an expensive task. I’ve spent more than seven years working in the construction, home improvement, and health and safety fields, and created this resource to cover essential information for disability home remodeling. This guide will identify legal and financial resources available to citizens, seniors, and veterans, offer tips to hire the right home remodeler, and suggest modifications throughout the home to make the space as accommodating as possible. While the details of any remodeling project depend on specific needs, the issues of cost, available assistance programs, and legal rights should be answered before you get started. Fortunately, there are many resources available nationwide specifically for people who are elderly or disabled. The most relevant law regarding residential remodeling for disability is the Fair Housing Act. While you may have to pay remodeling expenses out of pocket, and return the property to its original condition upon leaving (if you’re leasing), the law states that a housing provider can’t refuse reasonable modifications to your dwelling or common use areas, or refuse reasonable accommodations to rules, policies, practices or services if necessary for equal use of the housing. If you’re planning a home remodel for a person with a disability or special need, there many support programs to choose from. Beyond these broad types of financial resources, the federal government also offers many resources for more specific groups. More important than having a vision for your project is hiring an expert home remodeler. They not only can get the job done well, but can work to customize your home to your needs. 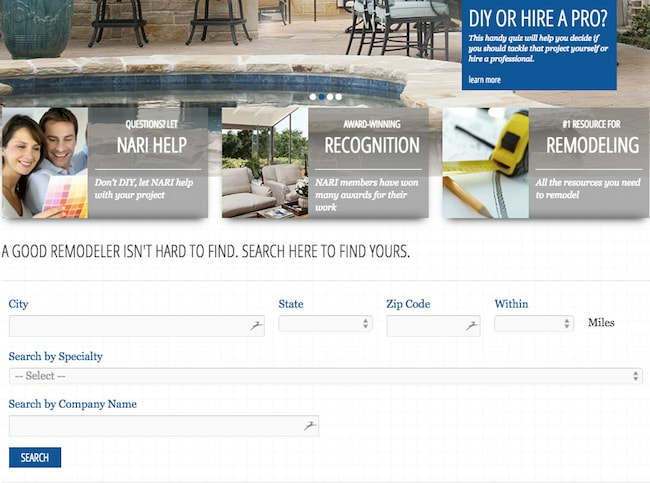 When searching for a disability remodeler, you may want to find a Universal Design Certified Professional (UDCP) with through the National Association of the Remodeling Industry (NARI).19 While there are many other viable options, finding certified experts is an easy way to filter through candidates. Whether you choose a certified professional or not, before you hire anyone make sure to thoroughly explore your options. You can review our guide to hiring home remodelers for steps to take before agreeing to any contract. Now that you have considered regulations, funding, and who you want for the job, it is time to think about what specific modifications might be beneficial to you or your loved ones. Your first remodeling consideration should be how people will navigate into, out of, and through your home. Your rooms can be as comfortable and accommodating as possible, but this won’t matter if you or others can’t easily enter, exit, and move around. When looking at alternatives to stairs for people with mobility issues, the two primary options are ramps and lifts. In my experience, ramps are generally less expensive, more reliable, and less prone to needing repairs due to not having electronic or other moving parts. If you’re concerned about costs, or only have a small rise to navigate, you may want to consider a portable ramp. While remodeling your entryways and exits, you should also survey your yard for ways to make it more accommodating. Leveling the ground, installing wheelchair friendly paths, and removing potential hazards so everyone can enjoy the outdoor spaces are important touches that often go forgotten. Depending on the room, completely removing the door and hinges might not be a problem. In the case of bathrooms or other locations where privacy is a concern, a potential solution is to install a curtain or screen, or depending on the dimensions of the wall, a pocket door. If you go this route, consider a wall-hung pocket or sliding door, as they are easier to open than those installed in-wall. You may also want to consider installing doors with handles and locks at lower heights, and switching out traditional door knobs for lever-handle pulls. A more expensive option is installing automatic door openers, but this may be out of your budget. You should also consider the cost and likelihood of needing future repairs if you choose to go this route. For exterior doors in particular, look into installing a peephole or small view panel in the door at an accessible height. If you choose to install a window or view panel though, make sure that it is far enough away from the door handle to not create a potential security issue. Another alternative could be to install an intercom to enable identification of visitors. Lastly, when it comes to doors, minimize the size of doorstops and thresholds, and for doormats, avoid anything too thick that could cause trouble for wheelchairs, and pose a potential tripping hazard for walkers with poor mobility or impaired vision. Flooring is a less popular aspect of remodeling around a disability or special need, but is one of the most important, and should be a consideration for every room in the house. Find a material that is durable, smooth, relatively non-porous, and firm, and that is not prone to buckling or bunching. These features will provide a surface that wheelchairs can easily roll on, something that will not be likely to cause slips, trips, or falls, and a surface that is easy to clean. Ease of cleaning can be particularly important in the case of homes with service animals. The least expensive and most durable materials are usually either vinyl or laminate flooring. Avoid ceramic and stone tile outside the kitchens and bathrooms, and if used at all, make sure it is slip resistant. Wood flooring can work as well, but is generally more expensive, and also difficult to maintain and less resistant to wear. An additional benefit of harder floorings for those with vision impairment is that they will be better able to hear noises in the home. 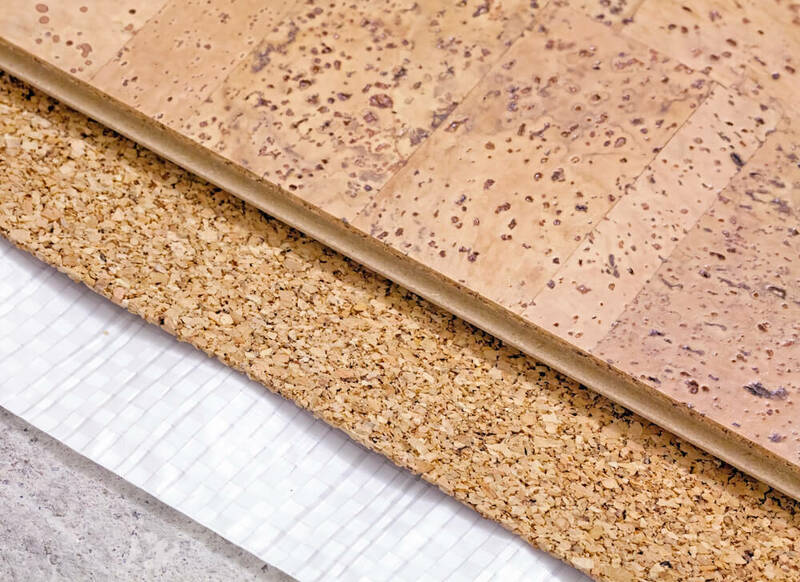 Another option to consider is cork flooring. Cork flooring is often very stylish looking and easy to clean, and while it is firm and level, it is more forgiving to falls than many of the other flooring types mentioned above. However, due to its soft nature, it is typically not recommended for wheelchairs due to wear issues from the amount of pressure exerted by the wheels. At the most basic level, make sure all electrical controls are as accessible to users as possible. This may mean finding controls that do not require fine manual dexterity to operate. Be sure to consider all light switches, thermostat controls, electrical outlets, and anything plugged into the outlets. Perhaps less obvious than the locations of switches, but still important, is the location and angle of the lighting itself. Light locations, angles and reflections that work well for some, may shine directly into the faces of others, so in cases like these, you may need to redirect lighting, or even change out fixtures. Also, for ceiling fans, consider installing longer chains or purchasing a unit with a remote. While these are the traditional concerns of remodeling, homeowners also have many options to incorporate new technology. Smart home technology focuses on automation, controlled wirelessly by smartphones, tablets, motion sensors, or voice activation. 26 Smart home tech can include Bluetooth and wifi enabled systems, such as lighting, thermometers, and door locks. Of all the rooms in the house, bathrooms are along the most important spaces to remodel for seniors and people with disabilities. Doing so not only affords as much privacy and independence as possible, but is also extremely important for safety reasons, particularly when entering or exiting the shower or bath, or using the toilet. Along with the needs for door width mentioned earlier, the room in general should be open enough allow comfortable maneuvering. Depending on how your bathroom is laid out, this could require rerouting of plumbing. For sinks, it can be better for wheelchair users if the sink is higher than typical, and if the sink has open space underneath. This enables the ability to roll straight up to the sink rather than having to reach or stretch over. If the existing sink has a cabinet base, it may be possible to remodel the center part of the cabinet and create the same effect without purchasing a new one. Install cabinets in-wall as much as possible to conserve floor space, and so they are not too high to reach. Similarly to doors, faucets with lever-type handles rather than knobs are easier to use, and it may even be worth investigating touch-operated faucets and other fixtures like those often seen in public restrooms. Toilets should also have higher than standard seat heights for more ease and less distance traveled when transferring between the toilet and a wheelchair, or sitting down and standing up. 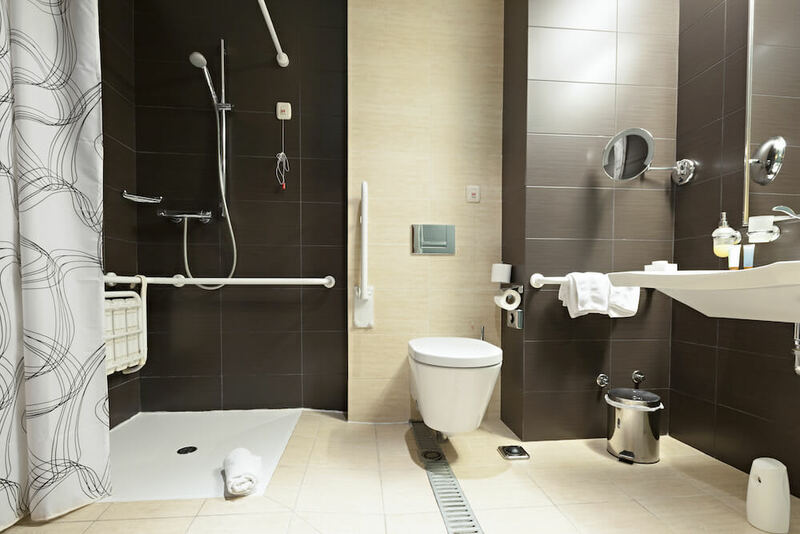 Install grab bars on both sides of the toilet of course if possible, and depending on the extent of the remodel, consider rearranging the room to where a wheelchair can comfortably fit near the toilet. There are many different options for showers and tubs, and the best choice will be dependent on your budget and whether you are completely remodeling or making small modifications. Substantial remodeling solutions include installing a tub with a vacuum-sealed door, enabling direct walk or roll-in entry, or an open shower that is curbless or has a minor curb. If neither of these options is feasible, you can also buy various types of specialized lifts. Simpler steps that every remodeling budget should include for bathrooms are installing a grab bar, handheld shower head, and lever-handled water valves. It is also worth exploring ADA compliant appliances, as there are many that may need little to no other remodeling. For cabinets, installing drawers for cleaning supplies near the sink and cooking utensils near the stove will make these areas much easier to use, and having adequate lengths of countertop is more important than depth. 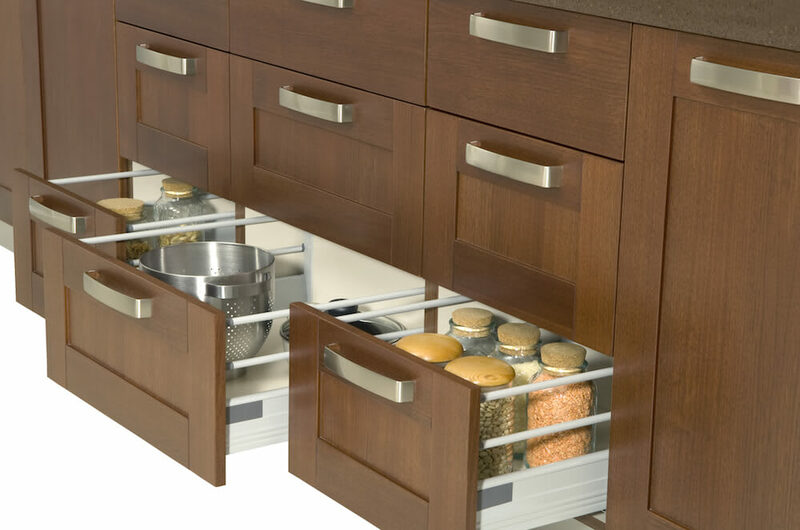 Other options include motorized adjustable-height cabinets, countertops, and sinks. While these sorts of options may be out of the price range for many, if your budget allows, they are worth investigating. Many of the basic remodeling tips already shared for accessibility and safety will certainly be of value to seniors and people with disabilities. That said, there are also some particular renovations to consider for individuals coping with cognitive disabilities such as an autism spectrum disorder, down syndrome, dementia, Alzheimers, or other challenges that present significant hurdles beyond physical. It is imperative in these situations to take into account how features stimulate all the senses and emotions. Being mindful of how things around the home feel, look, smell, sound and even taste can make a massive difference in both the lives of those with disabilities, and any loved ones caring for them. 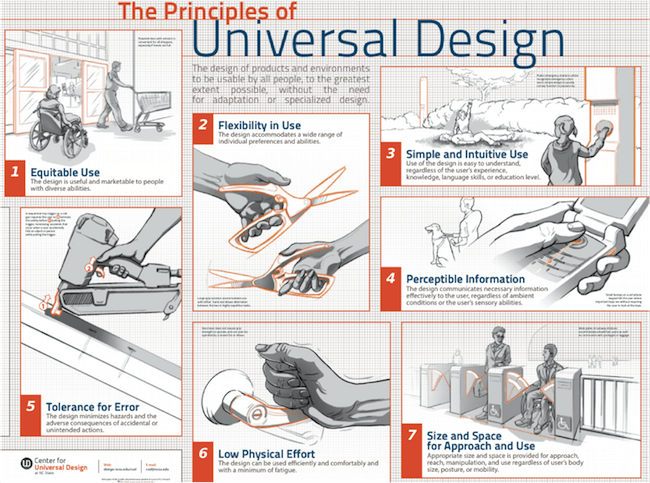 While the challenges presented in this guide are significant, they are not insurmountable. Creating a comfortable home is achievable with time and work, and there are plentiful resources available to assist you and your loved ones in getting there. I hope this guide offered insight into the many financial and legal resources at your dispense, and some of the major considerations for a few core rooms in every home. If there are any particular remodeling options that interest you but not mentioned, or you have recommendations you have based on situations you have personally dealt with, feel free to weigh in with a comment below. 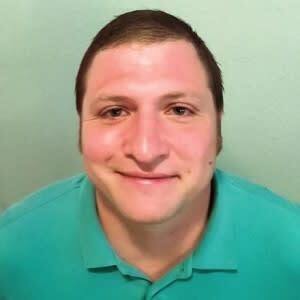 Michael Sledd has worked for over 7 years in the construction, home improvement, and health and safety fields. He is currently a program manager responsible for identifying and addressing ADA (Americans with Disabilities Act) concerns, and overseeing various facilities, greenbelts and nature preserves at a Parks and Recreation department for a large municipality. Michael earned a Master's of Applied Geography with a focus on Resource and Environmental Studies from Texas State University-San Marcos.